SafeDisc v3 DRM[Note 1] or StarForce 3 DRM[Note 2] disc check, depending on region. Patch 1.1 updates the game to the latest version. GOG.com version is already patched. 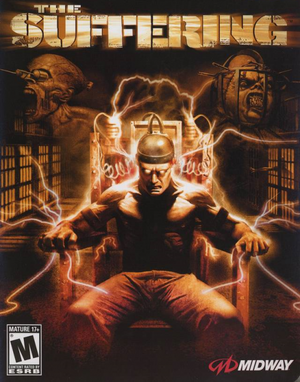 All-in-one patch for The Suffering series which fixes numerous bugs and adds widescreen support. Use AiO Unofficial Patch or The Suffering Widescreen Fix. Texture filtering setting only affects close-up texture quality. Cannot be forced. Set in launcher. Up to 6x MSAA. Frame rates above 60 FPS causes glitches and AI problems. Unofficial translation by «7th Wolf». Checkpoints have stopped working on Windows 7 and later. In new version indirectsound you can use "3D Sound Buffers" in game launcher. GOG.com version has this fix applied by default. Download and install Creative ALchemy. Select the "add" option and specify the executable path and game title. 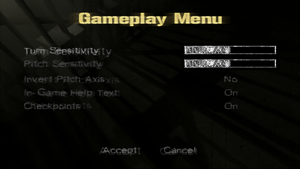 Move the entry from the "Installed Games" box to the "ALchemy-enabled Games" box using the arrow buttons. On Windows 10 you might get this error when launching the game for the first time. Not sure if this error is also applied on Windows 8, if it is here's the steps to fix it . Go to Programs and Features in your control panel. On the left side collum you'll see Turn Windows features on or off, click on that. Look for Legacy Components and expand it and you'll see Direct Play. Click on the small box to the left and click ok and then wait a few moments till it's finished installing the files, then close it. Try again to start the title and you should see the launcher startup after the fix. 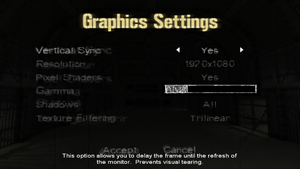 When using The Suffering Series AiO Patch, the game will set monitor's refresh rate to 60 Hz when in fullscreen mode. Go to %USERPROFILE%\Documents\My Games\The Suffering\. Change RefreshRate=60 to the desired value (e.g. RefreshRate=120). 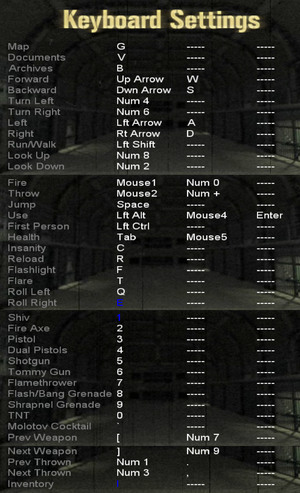 With a frame rate higher than 60, there are many problems with the AI of both monster and human characters. The game is possibly un-finishable due to the risk of certain NPCs not triggering key cutscenes. Cap the frame rate at 60 FPS. After the first time launching the game, the launcher won't show up again and you will be unable to configure the settings. Use the -setup command line argument. Open SUFFERING.EXE while holding ⇧ Shift. ↑ 3.0 3.1 When running this game without Administrator elevation, activity in %PROGRAMFILES%, %PROGRAMFILES(X86)%, and %WINDIR% might be redirected to %LOCALAPPDATA%\VirtualStore\ (more details). 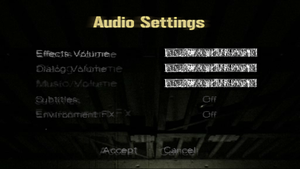 Installing IndirectSound fixed audio issues in the audio options, but I haven't done other comparisons. This page was last edited on 14 April 2019, at 10:14.